Just a quick note to regular readers: I’ve been slammed at work for the last week, which is why my normally fairly regular posting rate has slowed. I anticipate things being back under control by the end of this week – so expect more Collaborative Gaming then! In the meantime, don’t forget about Warehouse 23’s 40% off GURPS PDFs sale. 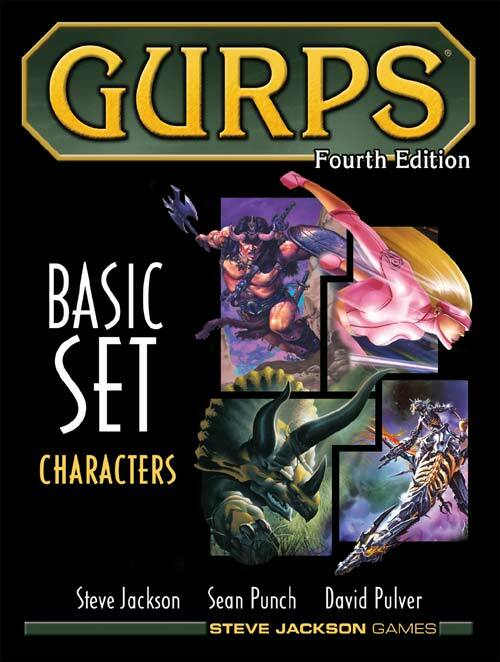 Plus in case you hadn’t heard, certain GURPS books are now available IN PRINT, via Amazon’s PRINT ON DEMAND SERVICE! Amazing and wonderful. Again, if you have even the slightest urge to support either of these initiatives, please do! SJGames are testing the waters… if we want more fish food, we have to bite! This fish hates bad metaphors – but loves GURPS. Actually, now that I think about it, that’s a really stupid metaphor – I don’t want to be hooked and gutted by SJGames, and I’m pretty sure you don’t either. But hopefully you get my point. For the record, I ordered a Print-on-Demand copy of GURPS Ultra-Tech, since I only had it in PDF – and it just arrived in perfect condition yesterday. The print quality is very good – as far as I can tell, it’s indistinguishable in quality from a normal GURPS book. I’ve heard others saying the same thing about their new GURPS books, too – it looks like, quality-wise, this experiment is a real success. Previous Post GURPS Books via Print-On-Demand! Next Post GURPS Treasure on the fly! There’s definitely some great things happening in the GURPS world as we approach Christmas – Discworld and Mars Attacks are both due out now too so loads of choices for Santa! I picked up a couple of items in the 40% off sale to help plan my next adventure. Glad to hear the POD quality is high too, that should certainly encourage others to try it out.